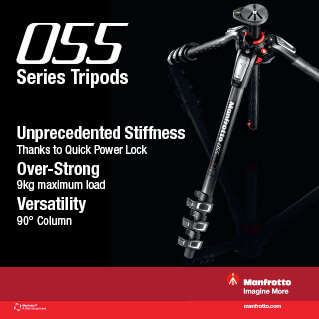 Categories: Manfrotto, Tripod & Support Equipment, Tripods. 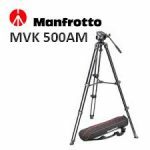 The 502HD Ball Base Fluid Head / 546GB Tripod / and Carrying Bag from Manfrotto includes a 75mm ball base fluid video head, a bowl base aluminum tripod, and a black and red, over-the-shoulder carrying bag. The bag is padded, features a zipper running along its length, and fits both the tripod and head. 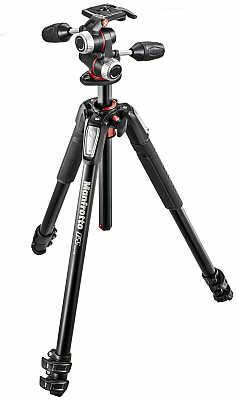 This 4-section aluminum Manfrotto MVM500A Fluid Aluminum Monopod with 500 Head rises to a height of 78.9″, folds down 30.3″ and includes a compact, lightweight fluid head for smooth panning and tilting. The quick release head has a long sliding plate with both 1/4″-20 and 3/8″-16 camera screws. Three mini, retractable feet at the base offer additional stability. 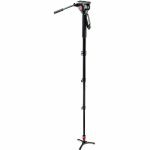 This monopod and head combination is an ideal match for cameras weighing up to 11 lb. The included head does not have a fluid pan movement and is not removable. The fluid pan movement is in the base of the monopod. 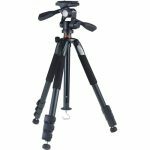 The Alta+ 264AP Aluminum Alloy Tripod from Vanguard is compact 22.25″ (56.5cm), weighs 4.39 lb (1.99kg) and can support your camera, lens, or camcorder up to 11 lb (5.0kg). 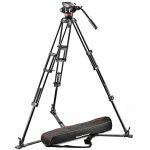 Alta+ is built with features such as dual locking safety mechanisms, an anti-shock ring to minimize damage by camera vibration, 3 leg angles (25, 50 & 80°), and rubber feet with retractable spikes so you can set up on almost any terrain. The Alta+ 264AP also comes with a fluid 3-way panhead with 2 handles (PH-32) and three bubble levels for positioning versatility and accuracy.